The Los Angeles Dodgers were victorious in Game 1 of the World Series against the Houston Astros. 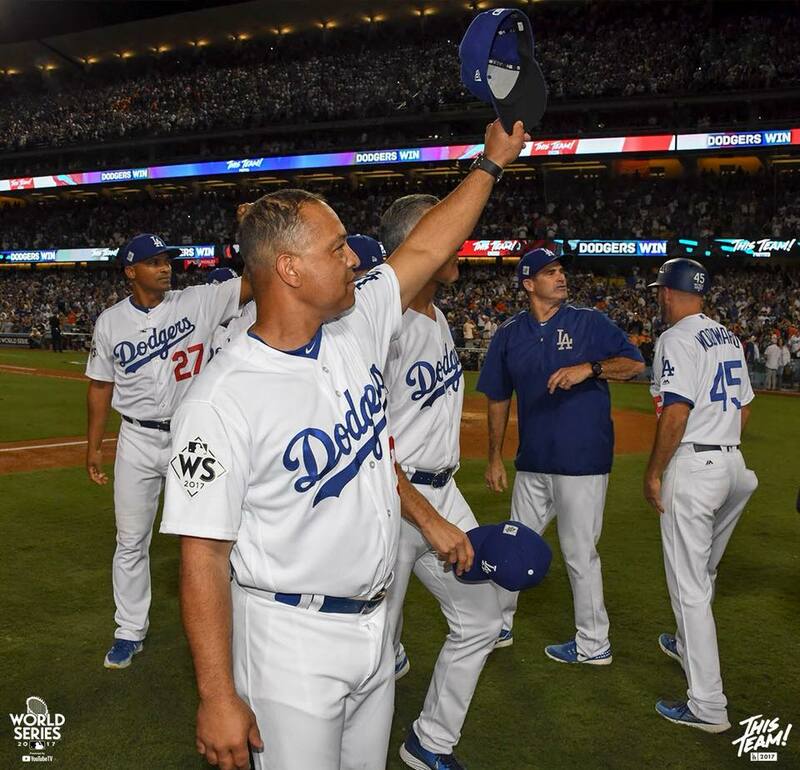 LOS ANGELES—The Los Angeles Dodgers opened the 2017 World Series on Tuesday, October 24 with a towering blast on the first pitch courtesey of Chris Taylor en route to a 3-1 victory over the Houston Astros at the iconic Dodgers stadium. The Dodgers lead the best of seven series 1-0. Dodgers ace Clayton Kershaw was lights out. The best pitcher in MLB pitched six strong innings in the victory- 11 strokeouts and no walks, a WS record, a feat only matched one other time in 1949, by Don Newcombe. This game broke many records including the hottest temperature, which clocked in at 103 degrees. At 8-1, the Blue Crew is tearing through October with reckless abandon. Alex Bergman knotted the game at 1-1 with a solo homer off Kershaw. The Astros are a paltry 1-6 on the road this postseason. Although, the Astros are undefeated at home. This group has the chemistry and personality of a champion. Boiling point is 212 degrees Fahrenheit for water. What rises to the top with lethal combination of superstars, colorful misfits, young talent and wiley veterans all united in the pursuit of hoisting the WS glistening crown over the City of Angels. Kershaw, a Texas native, is used to the extreme heat and pressure that strangely rolls around each October. As the sun beat down, sweat streaming down his face, Kershaw remains focused and down right cool as the Astros lineup went down. I mean FAST: Game 1 lasted a mere 2 hours and 28 minutes. The only item missing from his Hall Of Fame resume is a World Series ring. The last two Playoffs in particular, Kershaw has turned into an excellent Postseason pitcher, changing the perception he is merely a great regular season pitcher. The Blue Crew find themselves only three wins away from their first World Series title since 1988. The night belonged to one Justin Turner. The Dodgers third baseman hit a two-run home run in the sixth inning,to give the Dodgers a 3-1 lead, which proved to be the difference. The soaring ball just cleared the left field wall as 54,253 elated fans wildly waived their royal blue towels, bellowing and shaking so loudly Chavez Ravine litterally shook. Turner can best be described as a red haired caveman. His scruffy beard grows long down his jersey, his club(A Bat) has slain opponents. Every series thus far in the 2017 MLB Playoffs, Turner has hit the game winning home run in three different series. On Wednesday, October 25, the Astros will have a chance to even the series at 1-1. The Astros will have hired gun Justin Verlander on the mound. The superstar pitcher who will surely be enshrined in Cooperstown one day, was acquired in a trade with the Detroit Tigers. Verlander is coming off a sensational ALCS. He earned ALCS MVP honors, as the Houston Astros knocked off the New York Yankees in seven games. The Houston Astros have reached their second World Series. Taking the mound for the Dodgers, Rich Hill will attempt to go up 2-0. Game 2 will air on Fox. The first pitch is at 5:09 p.m.